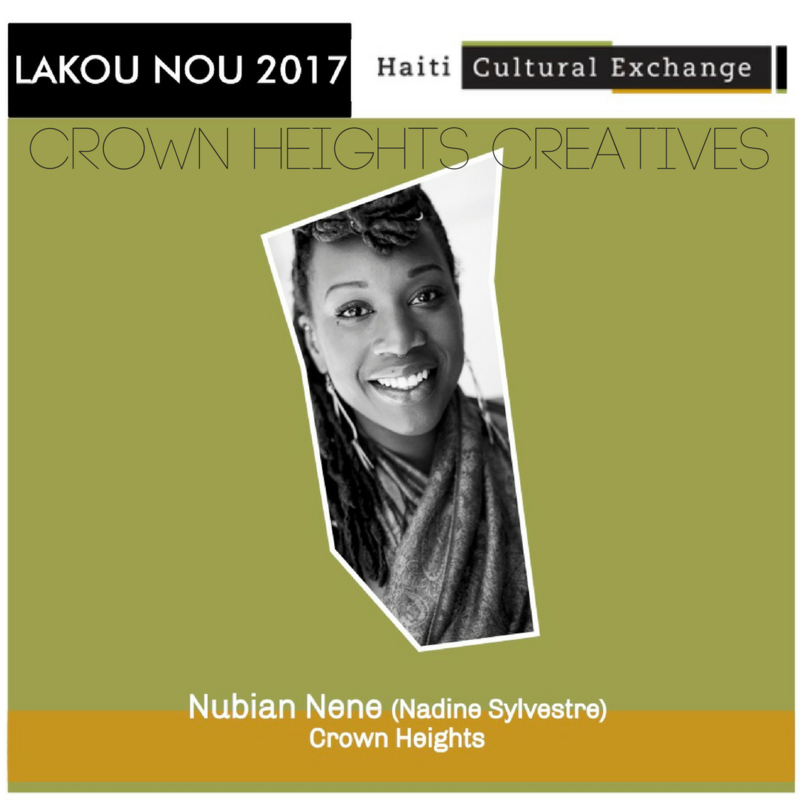 Nubian Nene (Nadine Sylvestre) (Crown Heights) is known mostly for her Waacking and House dance styles. Her ultimate goal is to constantly inspire through actions, words and dance. She has performed at Fringe Festivals with KINEMATIK Dance Theater and at the Cultch Theater in Vancouver with ‘Bboyizm’ Dance Company. She has also been featured in music videos for Jose James and Michelle Williams alongside the likes of Beyonce and Kelly Rowland. She has taught at the Unity Festival in Toronto, the Ladies of Hip Hop Festival in Vienna and NYC, the Illadelph and Funky Fundamentals Festivals in Philadelphia, and at the International Waacking Festival in Los Angeles. She believes that basic human services are things a town should provide its residents. A Crown Heights resident, Nubian Nene has observed the way residents contribute to street pollution. In “Crown Heights Creatives,” Nubian Nene documents the personal perspective of residents on the matter, assesses the community needs, raises awareness about the presence of local street farms, gardens and the availability of healthy foods in our grocery stores, and engages the creatives of Crown Heights to share their skill set, expertise and teachings to mobilize the community. She pulls from her Haitian heritage by creating a video series of her dancing in community gardens, connecting the dots between Crown Heights, its residents, and herself – a Haitian-Canadian woman living in Brooklyn. By dancing in this way, Nubian Nene portrays Kouzen Zaka, the agriculture/harvest/hard worker lwa further enforcing the idea of community action. This entry was posted on Wednesday, November 8th, 2017 at 1:18 pm	and is filed under Archive, HCX Programs, Lakou NOU. You can follow any responses to this entry through the RSS 2.0 feed. You can leave a response, or trackback from your own site.